Not every great college basketball player is destined for glory in the NBA. More than a few sadly reach their peak at the end of their teens or their early 20s. Maybe they stop growing, suddenly finding themselves undersized and outmatched while others just find their capacity for athletic growth limited. There are even a handful of college greats who simply decided after college that basketball was no longer their lifelong passion. This list is dedicated to those players! Not the ones you watch every day on TV. You won’t find Stephen Curry or Joel Embiid on this list. 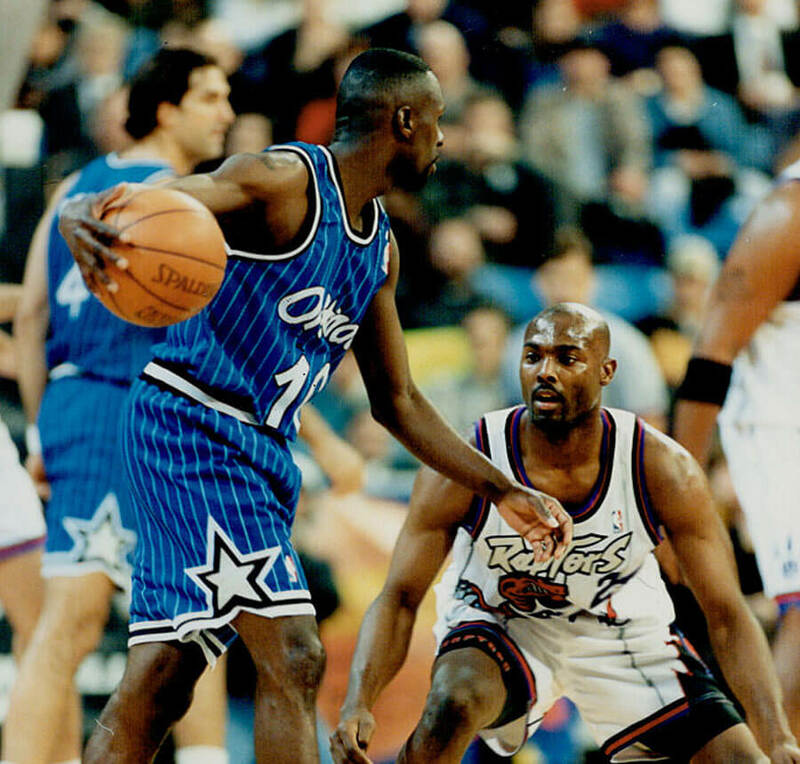 Instead, you’ll find Dennis Scott, as he reminisces about his days on the hardwood! Nick Fazekas played his college ball at Nevada, where he established himself as one of the program’s all-time great players. From 2005 to 2007 Fazekas averaged 18.8 points per game to go along with 9.6 rebounds. He also made 53 percent of his shots. His college success allowed Fazekas a brief, albeit uneventful NBA career. Taken 34th overall by the Dallas Mavericks, he played one year with the team before being released. Signing next with the Clippers, he never actually even put the jersey on because the team revoked their qualifying offer. Things continued to go poorly, leading Fazekas to plays basketball in Europe and Japan, where he currently plays for the Toshiba Brave Thunders. 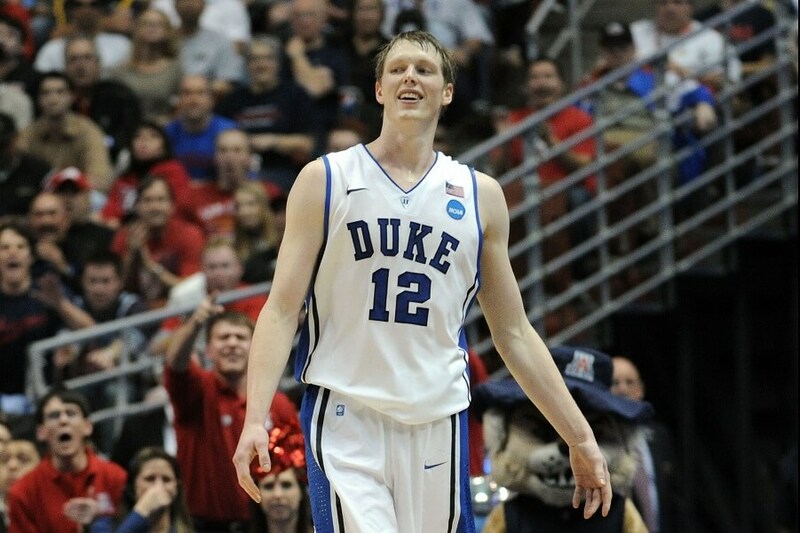 Playing for the Duke Blue Devils, Kyle Singler was a starter all four years he attended the university. Never required to be flashy, Singler was just an all-around good player. His size and athleticism translated very well at the college level. 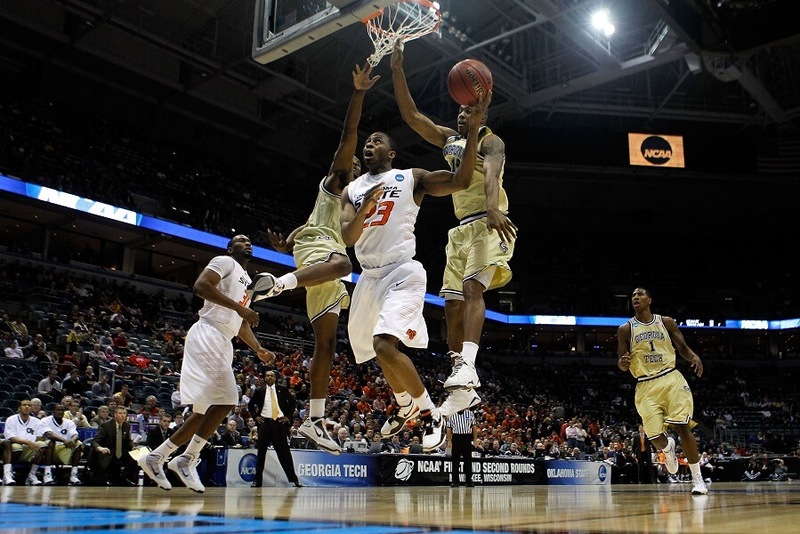 He was named the NCAA Tournament “Most Outstanding Player” in 2010 and was named All-ACC for the 2010-2011 season. During his junior and senior year he scored double digits in all but seven games. Transitioning to the NBA wasn’t tough for Singler either, where he currently plays for the Oklahoma City Thunder. Because his game is so sound though, you probably haven’t heard the name Kyle Singler unless you live in Oklahoma City! 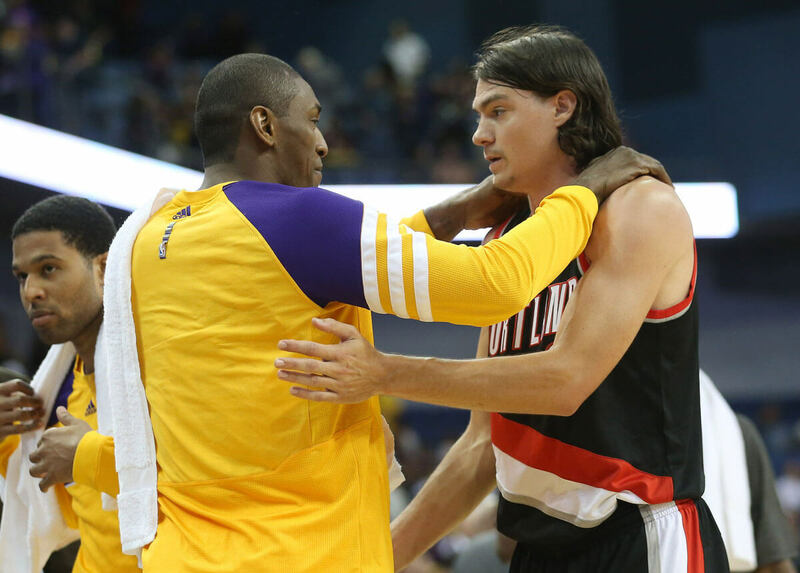 Adam Morrison, our next college star, did something in the NBA no one else on our list accomplished! Adam Morrison played in the NBA for five seasons. He was never more than a role player, but somehow lucked his way into winning two championship rings! A great college player, Morrison averaged almost 20 points per game and was named a number of things every other athlete on this list has already been named. You get the point. Have you seen Morrison’s mustache, though? That’s a Hall of Fame flavor saver right there! Here’s a fun stat, while at Gonzaga, Morrison had 13 games where he scored more than 30 points, five times he even eclipsed 40. It really is a shame he never prospered at the next level. We need more mustache flair in the NBA! Luke Harangody finished his college career as one of Notre Dames most decorated athletes. Named the 2007-2008 Big East “Player of the Year,” Harangody was the first player in school history with 2,000 points and 1,000 rebounds. More impressive, he averaged 20 points and 10 rebounds a game during conference matchups. Entering the NBA after his senior season, it was clear Harangody’s best days were behind him. He struggled to find his footing in the league for four seasons and finally left the country for a more stable gig. 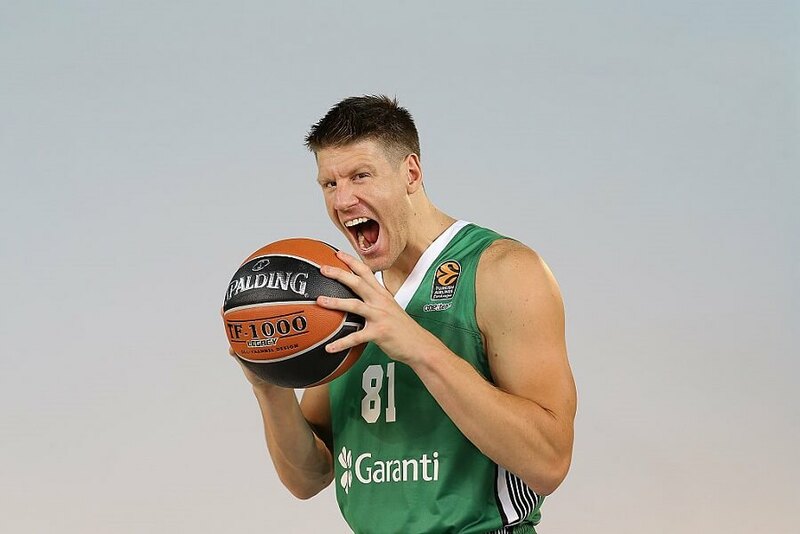 Currently, Harangody can be seen playing for Ratiopharm Ulm of the German Bundesliga. Dennis Scott is known now for his broadcast career. Since retiring from the NBA, Scott has settled into a very nice life with the NBA Network and the Atlanta Hawks as an analyst and color commentator. However, did you know Scott is one of the greatest three-point college shooters of all time? We didn’t think so! 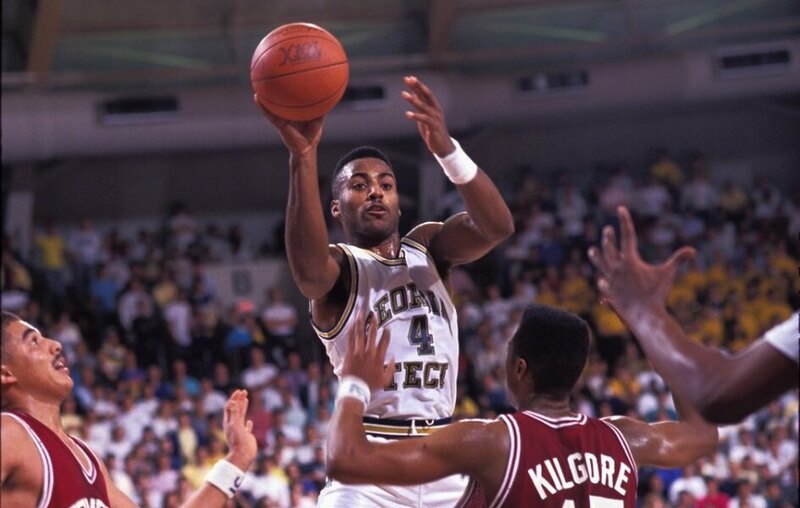 Playing for Georgia Tech from 1987 until 1990, Scott made 42.2 percent of his three-point attempts and averaged 21.4 points per game. He reached the Final Four in 1990 and was named ACC “Player of the Year” and “College Player of the Year” by Sporting News. His NBA career lasted 11-years, but he never reached greater heights than being named to the All-Rookie First Team in 1991. At least he wasn’t picky about where he played like our next athlete! Khalid Reeves grew up in Queens, New York but never liked the cold. Coming out of high school his dream was to play further west where the weather was warmer. He got his wish, playing for the University of Arizona where he turned into a scoring machine. His senior season he racked up 848 points, grabbing the attention of the NBA. He was selected 12th overall in 1994 by the Miami Heat. Unfortunately, try as he might, Reeves never materialized into a quality NBA player, even though he got to live in sunny Florida. He bounced around the league as a bit player until finally retiring in 2007. Billy Owens reflected on his career after retirement saying his proudest moments were his four high school state championships. 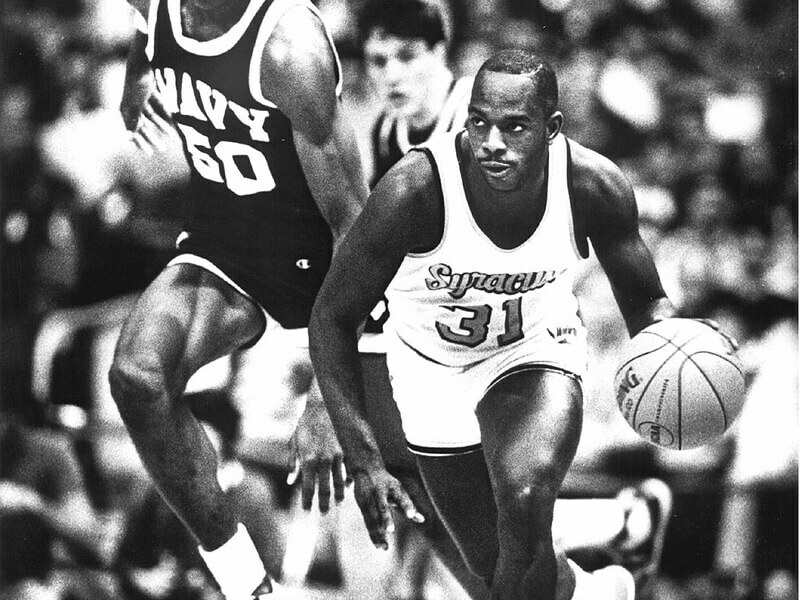 Lucky for him his talent translated to the college level, where he was a key player for Syracuse, even winning Big East “Player of the Year” honors in 1991. Despite bigger names like Shaquille O’Neal overshadowing him, Owens made a big enough splash to be selected third overall by the Golden State Warriors in the draft. He wandered around the league for the next 10 years before calling it quits in 2001 and getting into coaching. Failing to find success coaching, Billy Owens lives a quiet retirement now with a judgment-free life out of the public eye. While in high school Harold Miner was highly recruited and had lofty comparisons to Michael Jordan. 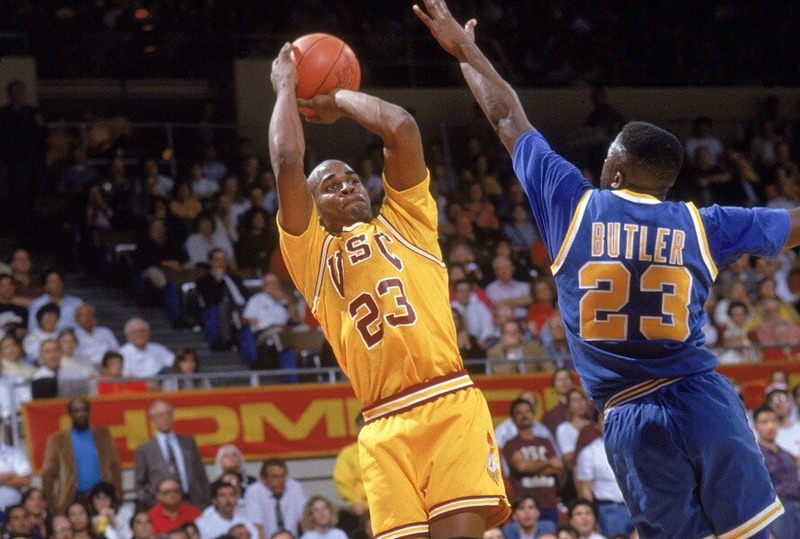 He lived up to the hype at USC, finishing his college career as a three-time All-Pac 10 player and was the conference “Player of the Year” in 1992. He even has a legitimate shot a great NBA career. Instead, Miner’s knees failed him at the professional level and he only lasted four years in the league before stepping away. His career may have been swift, but it was also lucrative. Miner currently lives a modest and quiet life in Las Vegas. Still, it’s sad that a player with his potential isn’t even remembered for how good he was in college. Then again, that’s the problem with our “what have you done for me lately?” world. Standing an intimidating 6’9″ and weighing 250 pounds, Shelden Williams was a rare college athlete. 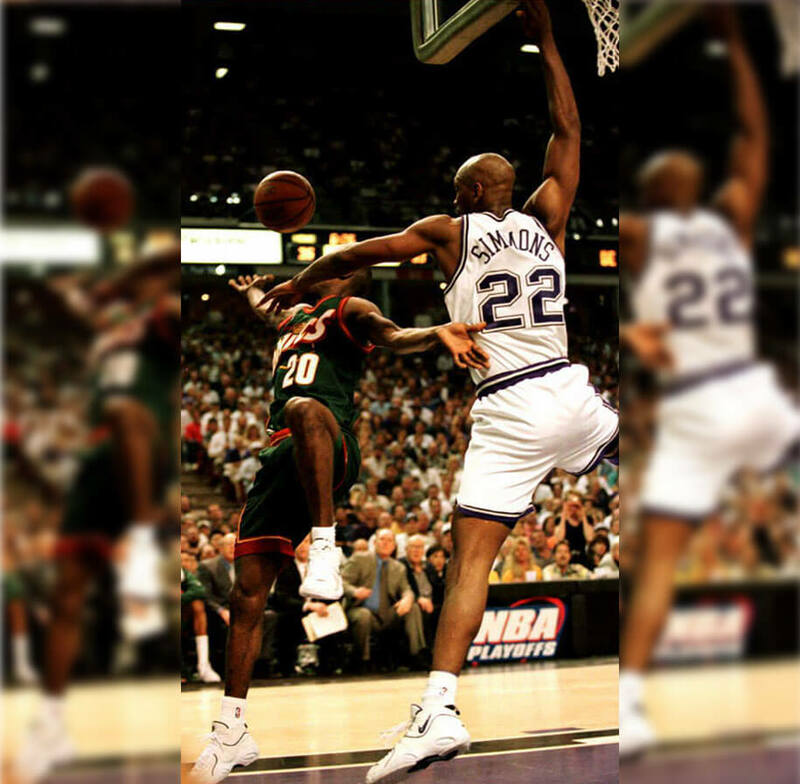 Never a volume scorer, Williams knew what he was good at and used his height advantage to become great. Twice he was named “Defensive Player of the Year” with Duke, using his length to block any shot that entered his zone. He was also a master of low-post scoring, making a fruitful living in the paint. Williams left his impression, getting drafted fifth overall by the Atlanta Hawks. Unfortunately, his skill set did not translate to the NBA and he bounced around to multiple teams via trade and free agency. Ultimately he fled to Europe and then Asia, where he currently makes his home. Do you like scoring? You’ll love James Anderson’s college story! James Anderson was a special college basketball player. He scored 29 points in his first game with Oklahoma State and loved the feeling so much he never stopped scoring after. During his time with Oklahoma, he was the third-leading returning scorer in the Big 12 Conference and was the fastest athlete in school history to reach 1,000 points. Drafted with the 20th overall pick by the San Antonio Spurs in 2010, Anderson appeared in six games before getting injured. Once healthy, he bounced around the NBA and the D-League (now the G-League). Ultimately his NBA career fizzled, and like so many before him, Anderson left for a more stable career playing overseas. 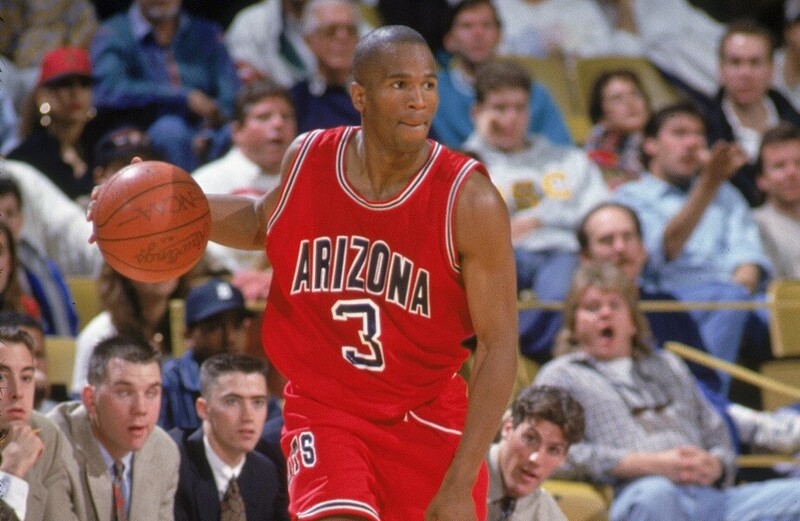 Similar to Harold Miner, Chris Porter had a chance to be an NBA great. Unlike Miner, Porter’s undoing was not his body, but his personality. A key cog in Auburn’s tournament runs in the late 1990’s, his first season saw the university make the sweet sixteen. With Porter in charge, Auburn became a top pick to win the championship the next season. When Porter was caught accepting money just before March Madness, he was suspended and Auburn’s hopes crumbled. Not shockingly, so did Porter’s draft stock. He was selected 55th overall in 2000 by the Warriors, playing only one season. Currently, Porter plays overseas, hopefully having learned from his humbling experience in the United States. Here’s a list of names; Grant Hill, Glenn Robinson, Jason Kidd, and Donyell Marshall. One of those names is not like the others. That’s because Donyell Marshall, for as special a player as he was in college, was just mediocre in the NBA. Playing for 15 long seasons, Marshall averaged 11.2 points per game professionally but was never named an all-star. At college, he racked up awards, including being named Big East “Player of the Year” in 1994. He was also an All-American with the above-mentioned players. 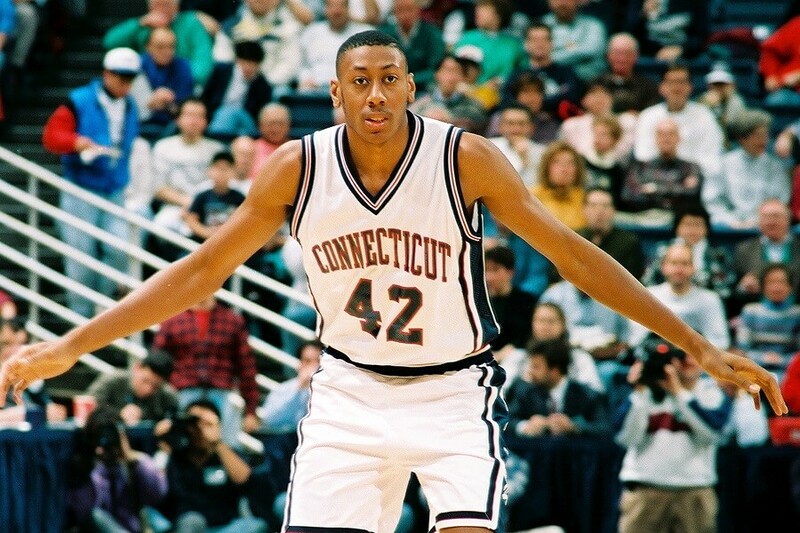 Although glittering bright in college, Donyell Marshall was not gold at the next level. Today he is the Head Basketball Coach at Central Connecticut State University. 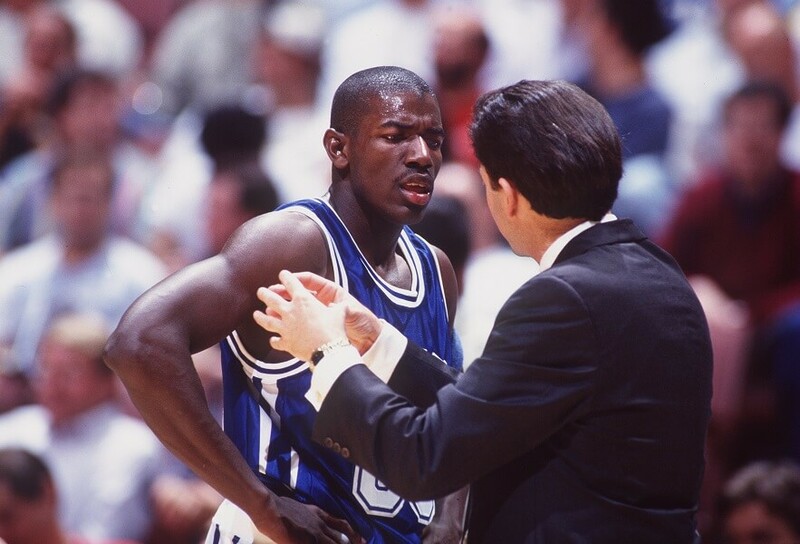 Tony Delk was amazing in college. Unfortunately, he played for Kentucky during a golden era of college basketball. In fact, the Consensus All-American First Team in 1996 included Delk along with Ray Allen, Marcus Camby, Tim Duncan and Allen Iverson. At least three of those names should be very familiar to NBA fans. Duncan, Iverson, and Allen went to live out all-time great NBA careers. Tony Delk played for 10 years in the NBA and averaged 9.1 points per game. He ended his career overseas and most recently coached for New Mexico State. Still, we can’t help but wonder if his name would be remembered if his college class wasn’t so stacked against him. 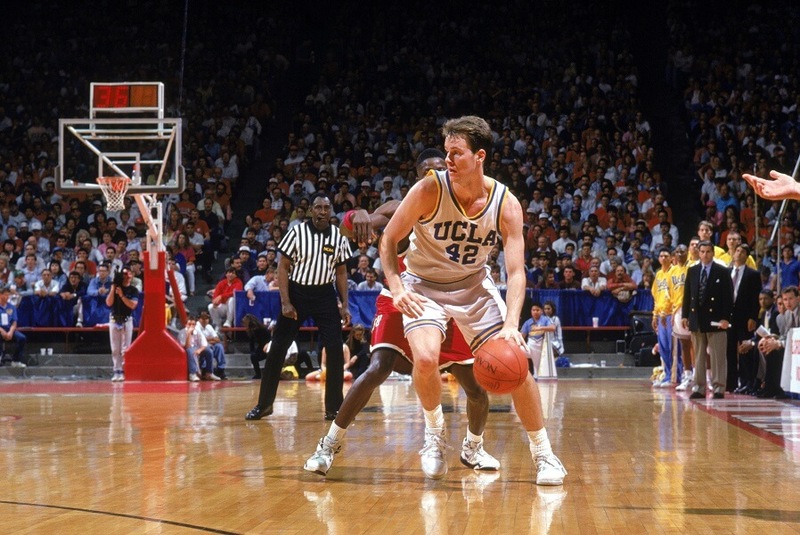 Don MacLean is one of the greatest college players UCLA has ever seen. His first season in baby blue and gold he set the town on fire. He would go on to be a three-time All-Pac 10 player and a one-time Consensus All-American. He finished his UCLA career as the highest scorer in school history and was drafted 19th overall by the Washington Bullets (now Wizards). An unspectacular nine-year career with seven different teams followed. After retiring Don MacLean took his talents to the broadcast booth where he has used his gift of gab to call games for the Clippers, UCLA radio, and Fox Sports. One forgotten college star left, can you guess who it is??? 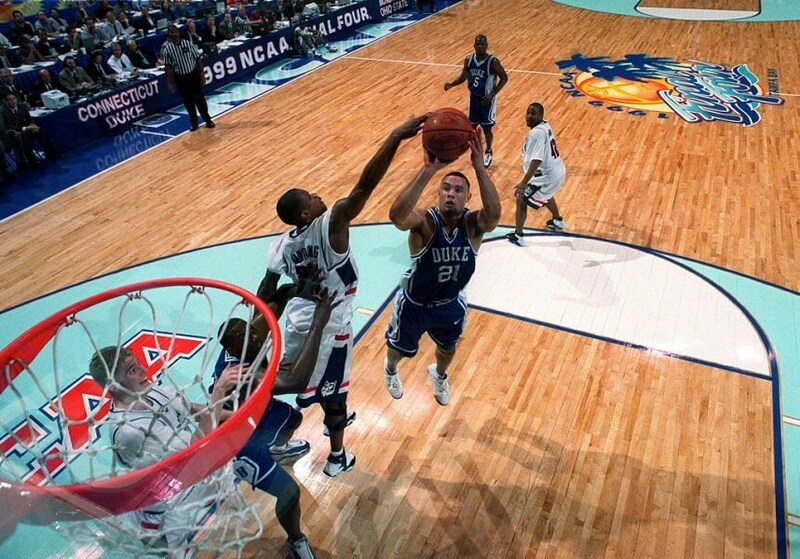 Playing both basketball and baseball at Duke, Trajan Langdon was a rare college star. Let’s focus on his college career though. As a Blue Devil Langdon was a three-time All-ACC player and two-time Consensus All-American. He also set the school record for three-pointers. Coming out of college he was drafted by both MLB and the NBA, being given the luxury to choose his career path. He chose the NBA and played for the Cavaliers. Sadly his NBA career only lasted three seasons. Currently, Langdon is a front office assistant in Brooklyn, but one look at the NBA standings shows how that’s going. Maybe if he had chosen baseball his career would have prospered and we would not be talking about him right now. Of course, something similar can be said for every athlete on this list. A name most sports fans know, it would be impossible to keep Christian Laettner off this list. 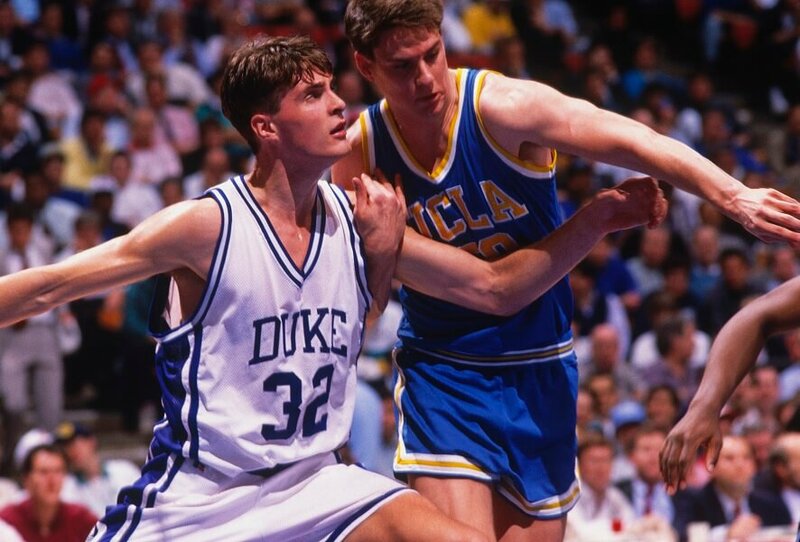 One of the most controversial and productive college basketball players ever, Laettner laced up for Duke, leading them to NCAA Championship title twice (1991 and 1992). He was the College P[layer of the Year in 1991 and the ACC Player of the Year in 1992. In fact, his talent was so incredible, Duke ignored his explosive anger problem, which threatened to derail his college career numerous times. Drafted 3rd overall Minnesota Timberwolves in 1992, Laettner had a long traveled NBA career. Over his 13 seasons in the league, he played for six different teams, was traded six times, and never spent more than three full seasons in the same uniform. Bill Bradley played a long time in the NBA too, then ran for President! New Jersey Senator Bill Bradley wasn’t always a politician. From 1961 until 1965 he also one of the most dominant college basketball players of his era. 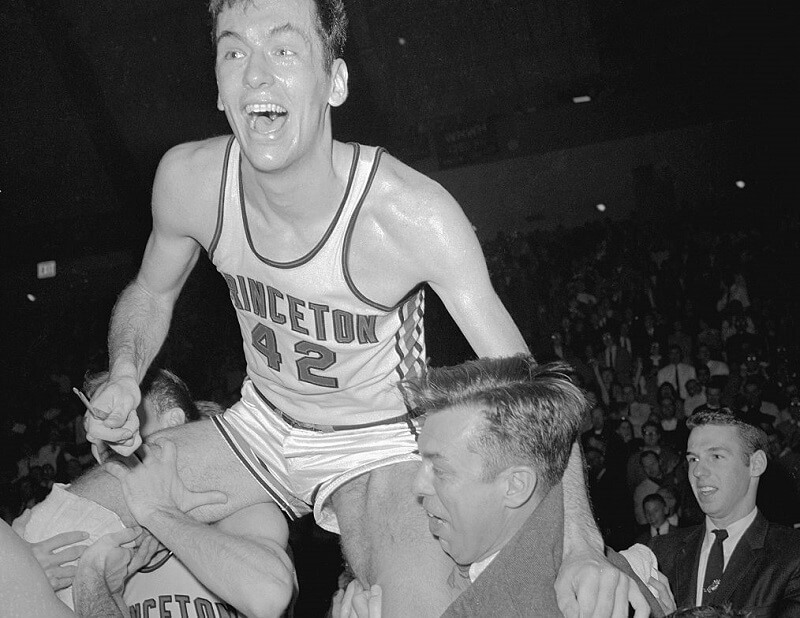 Playing for Princeton Bradley was named College Player of the Year in 1965 by multiple publications. The same year he was named the Most Outstanding Player of the NCAA tournament. He also set the single-game points scored record, dropping 58 points against Wichita State in the third-place game. Unfortunately, his game didn’t translate to the NBA. He played for the Knicks for 11 seasons, who won two NBA Championships with him on board. He appeared in just one All-Star game and scored an average of 12.4 points per game during his time in the NBA. As soon as he left basketball Bradley became a Senator and in 2000 even ran for President! 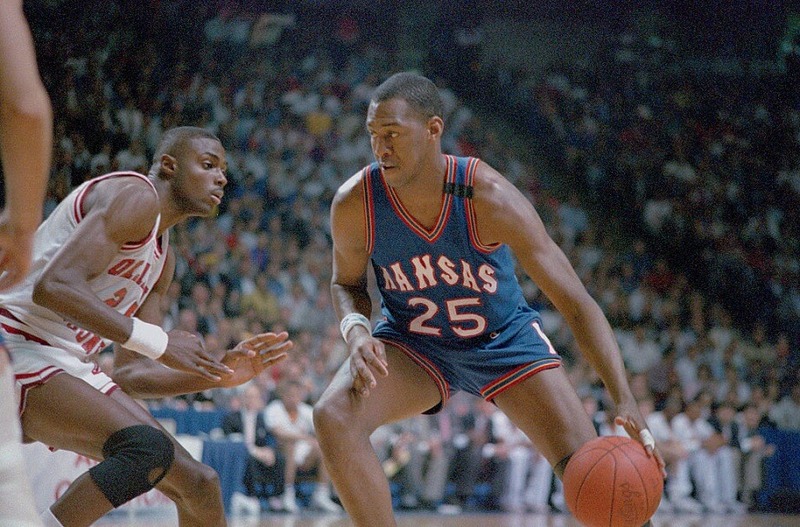 Danny Manning played his college ball for the Kansas Jayhawks from 1984 until 1988. During those four years, he dominated the game, winning three straight Big Eight Player of the Year awards and two Consensus First Team All-American selections. After graduating the school retired his number 25 jersey. With his college career behind him, Manning became the first overall pick by the Los Angeles Clippers in the 1988 NBA Draft. The Clippers’ high expectations were not met as Manning struggled with multiple knee problems. After Los Angeles Manning went to Phoenix where he became one of the top 6th men in the league. Our next athlete is one of the top college scoreres of all time, but hates having his picture taken! An interesting addition to this list, Alfrederick Hughes played his college ball for Loyola Chicago where he had one job; shoot the ball. In one game as a freshman he missed 20 straight shots and you know what he did? He just kept shooting. His final three seasons in college Hughes averaged 25.7, 27.6, and 26.3 points per game. As a junior, he took a total of 655 shots. The epitome of a selfish basketball player, the above mentioned Junior season, Alfredrick Hughes only recorded 17 assists. Hughes made it briefly to the NBA but learned a rough lesson about it being a team sport. 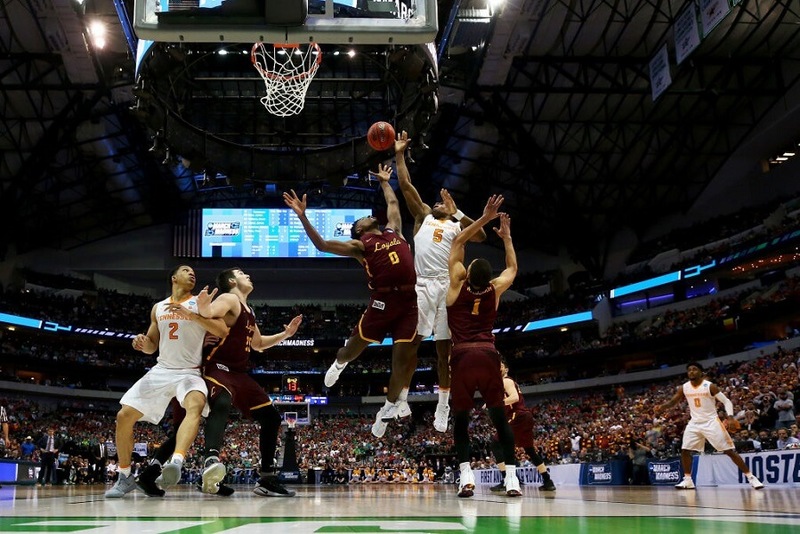 In fact, Hughes is such lost gem, we couldn’t even find a picture of him and, instead, present you with a picture of Loyola Chicago’s 2018 team playing in March Madness as proof they exist! 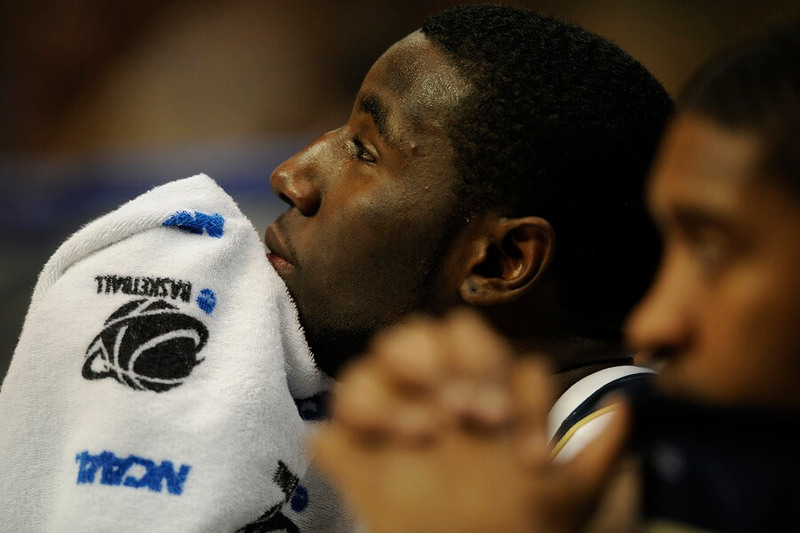 A two time First Team All-Big East star at Georgetown, Eric “Sleepy” Floyd got his unfortunate nickname in 4th grade. During an elementary school basketball match, a spectator yelled, “get that kid out of the game, He’s sleeping!” No nickname could have been less fitting for the eventual college star. Playing guard, Floyd lead Georgetown in scoring all four years he was there. He followed his college career with a 14 year NBA career that started with the New Jersey Nets. During his rookie season, he was traded to the Golden State Warriors where he spent the next six unspectacular seasons. Curiously enough, Hughes does hold the NBA playoff record for points scored in a quarter and in a half. 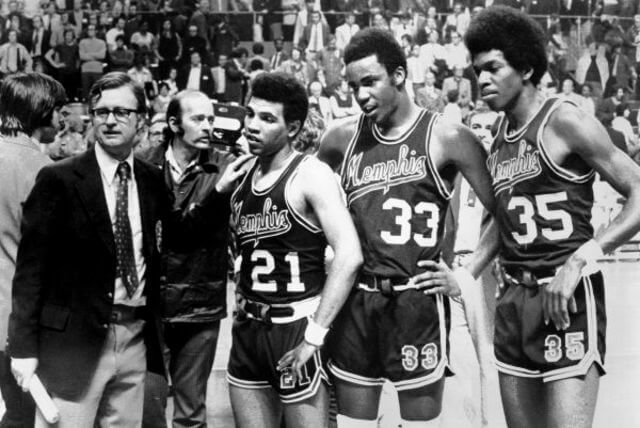 When Keith Lee joined Memphis State, he essentially revitalized the team. The Tigers record was a sad 13-14 but Lee helped them close at 104-24. With his impressive ball-handling skills, precision, and speed, he had scouts eyeing him like a piece of meat. Despite averaging 18.8 points per games during his four-year career, there were a few red flags about Lee’s on-going performance before he was drafted. The athlete had packed on roughly 30 pounds before his final year of college ball and when he was benched, the team didn’t suffer. He was eventually drafted by the Chicago Bulls where he averaged 6.1 points per game over three seasons. The hype around Pearl Washington began early. Playing for his high school team in New York City, he earned himself a reputation for his ball-handling skills as well as a full ride to Syracuse. Washington averaged 15.6 points per games and 6.7 assists per game while playing college ball and was instrumental in bringing a special entertainment value to the court that fans loved. The hyper around Washington was soon to end though as his slowness and subpar shooting skills caught up with him. Washington was drafted to the New Jersey Nets but only ended up average 8.6 points per games and 3.8 assists per games. Even worse, he has just an 18 percent average from the 3-point range. In his prime-time playing for Loyola Marymount, Bo Kimble was one half of the university’s core run-and-gun offense. 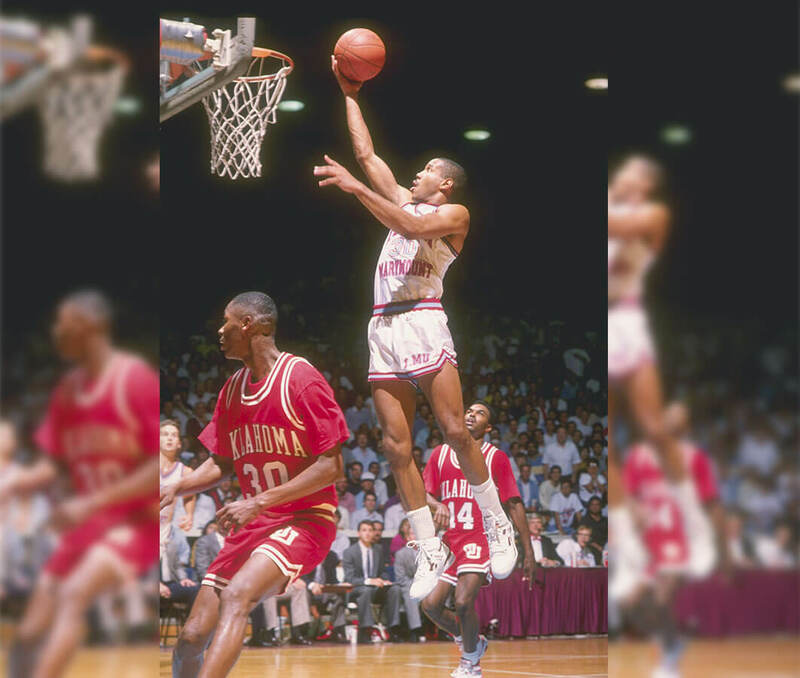 He and his late friend Hank Gathers averaged 122.4 points per games during the ’89 – ’90 season and seemed unstoppable. 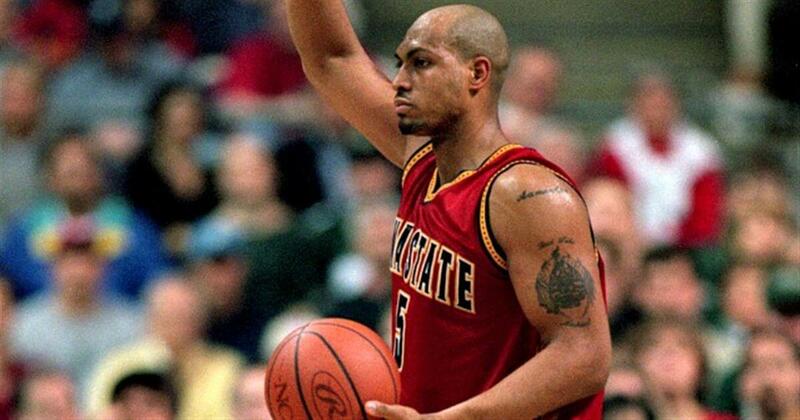 When Gathers died unexpectedly during a game, Kimble led the team to the Elite Eight of the NCAA Tournament. 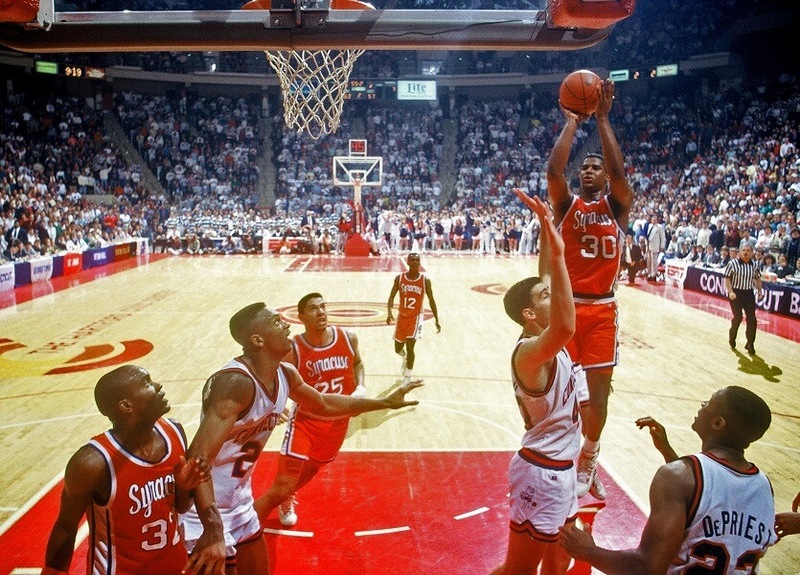 It was here that Kimble truly shined, beating defending champs Michigan. Kimble was drafted later that year by the Los Angeles Clippers. Playing three seasons, his points per game plummeted to just 5.5 while his assists per game were less than one. Marcus Fizer was one of the nation’s highest-scoring players during his career with Iowa State. Averaging 18.9 points per games during his three seasons, his skills on the court made him attractive to scouts from all over the nation. And despite his team’s overall performance being lackluster, he was eventually drafted by the Chicago Bulls fourth overall in 2000. Once Fizer made it to the NBA however, his performance was underwhelming. He lasted six seasons but switched teams three different times before ending up in the NBDL. Fizer found himself grasping at straws and started traveling the world in an attempt to revive his basketball career, but no such luck. Mateen Cleaves had a wildly successful college basketball career with Michigan State, averaging 12.5 points per games and 6.6 assists per game during his four-year career. Cleaves showed outstanding leadership abilities which made him attractive to scouts all over. 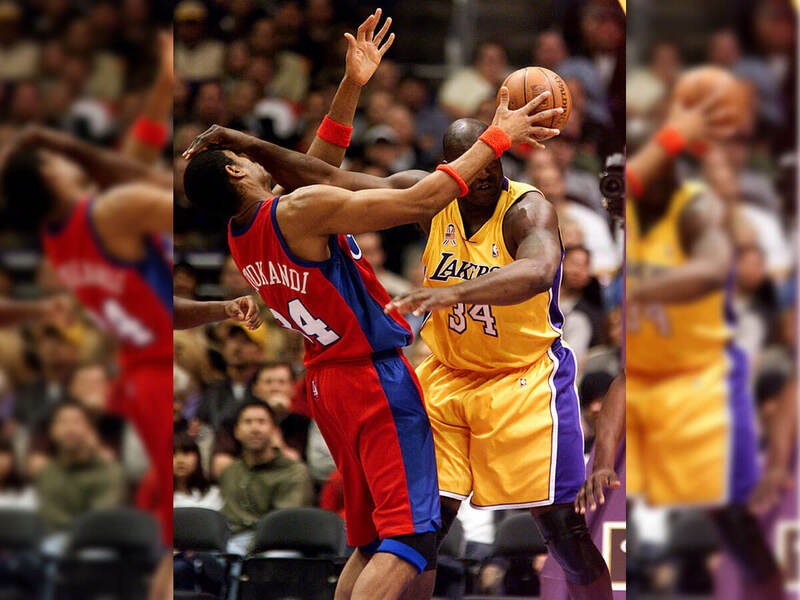 He eventually joined the NBA in 2000, placing 14th overall with the Detroit Pistons. While he played for six seasons, he averaged just 3.6 points per game and his shooting percentage dropped to just 38.9. 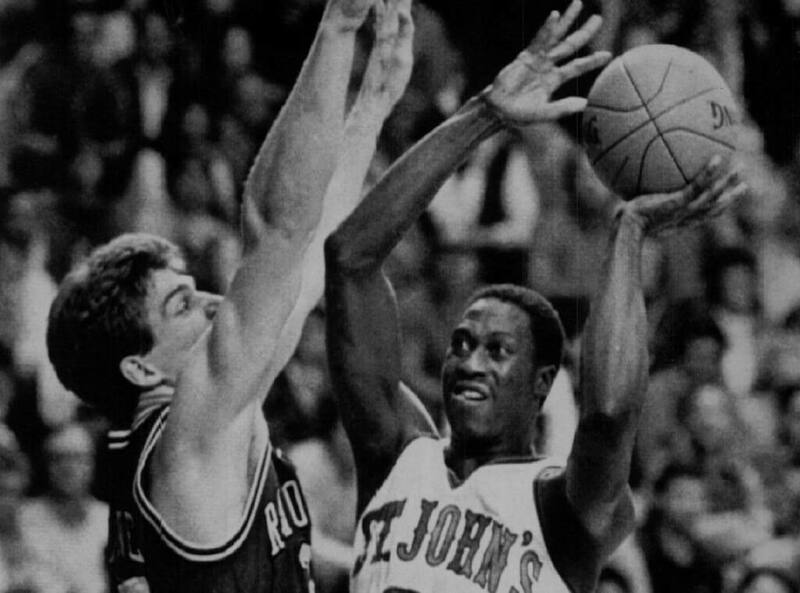 Walter Berry was a standout player during his time at St. John’s. It was here that he averaged 23 points per game during his senior season and was named National Player of the Year in ’85 – ’86. It appeared as though Berry had a bright career in the NBA ahead of him. When Berry joined the Portland Trail Blazers in the ’86 – ’87 season, his skills impressed everyone. What didn’t impress everyone, however, was his attitude. Although Berry scored an average of 14.1 points per games, he was unable to get along with his coaches. He was passed around between four teams until he continued his career in Europe. Danny Ferry Refused To Play For L.A.
Danny Ferry was a star power forward during his high school days and for the years he played for Duke University. While playing for the Blue Devils, the 6’10” Maryland native won the UPI Player of the Year, Oscar Robertson, and Naismith awards. He also led Duke to three Final Four appearances. After college, Ferry was drafted in the first round by the Los Angeles Clippers. Unfortunately for them, he flat-out refused to play for the team and instead opted to play for Italy’s Il Messaggero. The Clippers traded him to the Cleveland Cavaliers in 1989, and Ferry went on to a decent career playing for them before signing with the San Antonio Spurs as a free agent in 2000. 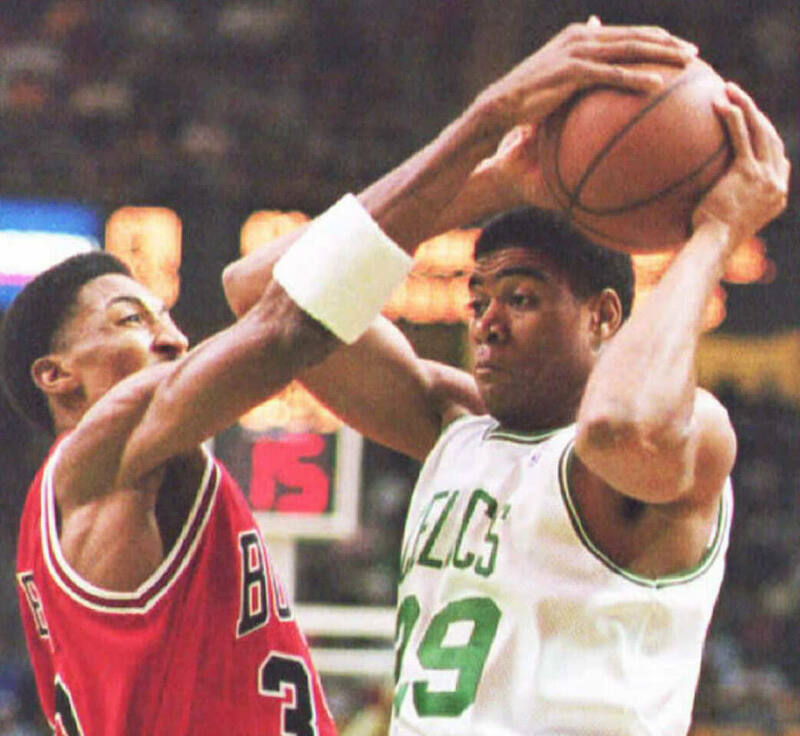 Former University of Louisville standout Pervis Ellison was so promising that he earned the nickname “Never Nervous” for keeping his cool on the court. 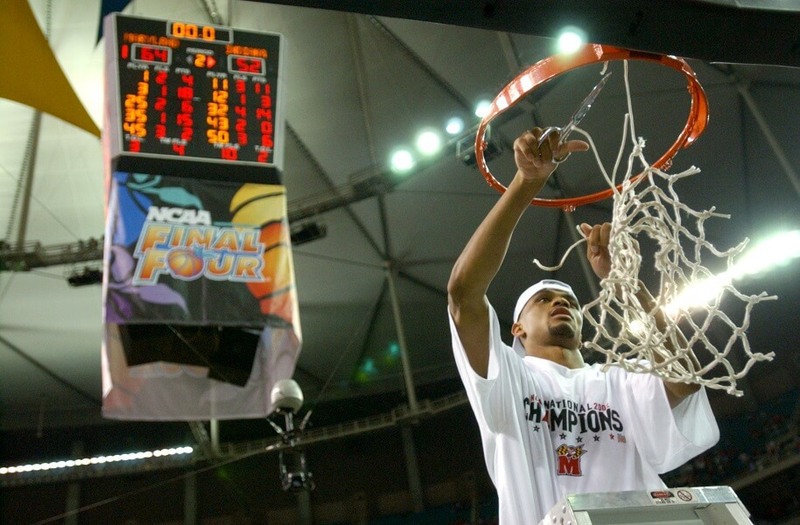 When he was just a freshman, Louisville won its second national championship. Pervis was named Kentucky’s Most Outstanding Player that year — only the second time a freshman had received the title there. He was the Sacramento Kings’ first pick in the 1989 NBA draft. Unfortunately, he was sidelined by an injury for 48 of the 82 games during his first year, which led one teammate to re-name him “Out of Service Pervis.” Pervis was later traded to the Washington Bullets where his performance improved. Unfortunately, injuries greatly hampered his later professional career including time as a free agent with the Boston Celtics. Lionel Simmons earned an MVP award in high school for bringing the South Philadelphia High School to the 1986 Philadelphia Public League boys’ championship. The small forward had an equally impressive career playing college ball for La Salle University in Philadelphia, where he only became the player in NCAA history to score upwards of 3,000 points and garner 1,100+ rebounds. In 2008 Simmons was inducted into the Philadelphia Sports Hall of Fame for his athletic contributions to the city. Sadly, Simmons’ success didn’t carry over into the NBA. He was drafted by the Sacramento Kings in 1990 but was plagued by injuries. 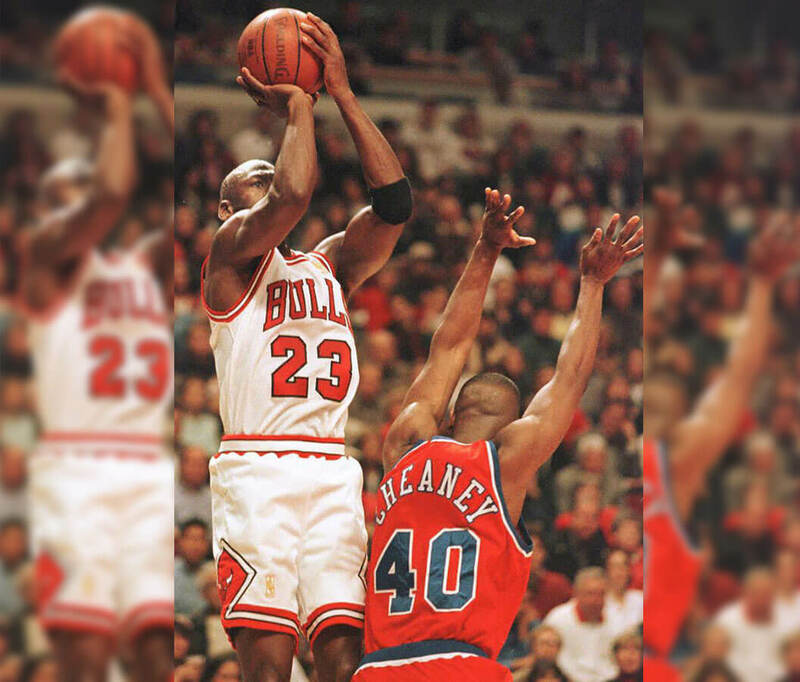 He retired prematurely in 1997 after scoring just 5,833 career points over those seven years. Fortunately, Simmons earned $21 million for his time in the NBA. Point guard Mateen Cleaves was a star for the Michigan State University Spartans, located in Flint. He and two teammates were nicknamed “The Flintstones” for their roles in bringing the Spartans to the NCAA Division I Men’s National Championship in 2000. Cleaves was also named Most Outstanding Player of the Final Four the same year. He was drafted by the Detroit Pistons in 2000 but traded to the Sacramento Kings before the next season. After just two seasons with the Kings, Cleaves went to the Boston Celtics, the Cleveland Cavaliers, and the Seattle SuperSonics, before joining the D-league. He was never ablet o top a six-point average in the NBA. Seven-foot-tall center Michael Olowokandi attended the University of the Pacific in Stockton, California on a basketball scholarship. Prior to this, the talented athlete excelled in rugby, track and field, and cricket. He didn’t begin playing basketball until he was 18 years old. Olowokandi had an astounding career in high school, leading his team to the NCAA Tournament in 1997 and to the National Invitation Tournament in 1998. 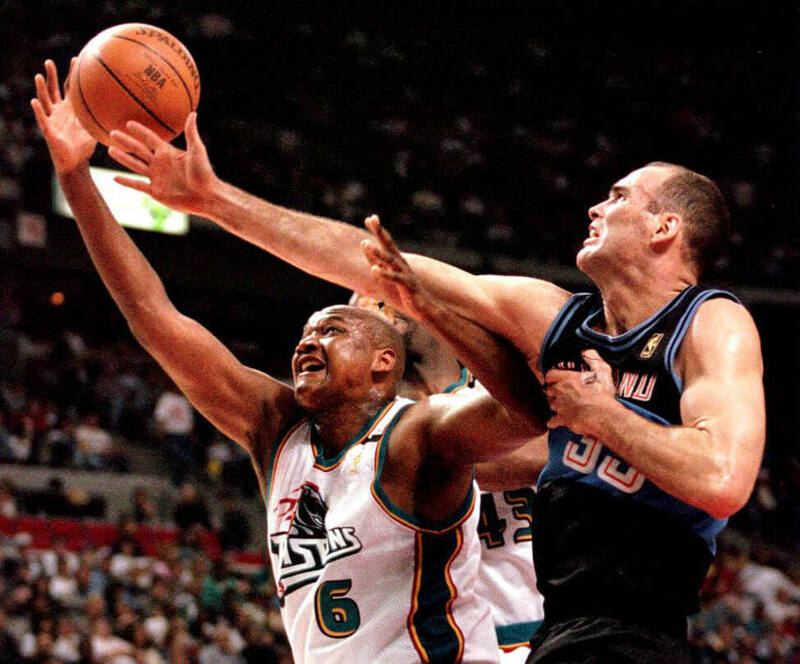 After playing for an Italian team during a 1998-1999 season lockout, he signed to the Clippers and then the Minnesota Timberwolves and the Boston Celtics. Although he had a 22-point average in high school, Olowokandi only maintained an 8.3 point average in the NBA. He retired in 2007. University of Southern California and Loyola Marymount University star Gregory Kevin “Bo” Kimble had a promising start to a professional basketball career. In 1990, while playing for the Lions, Kimble averaged 35.3 points per game as well as being named a consensus second team All-American selection. Kimble was drafted by the Los Angeles Clippers in 1990, shortly after close friend and teammate Hank Gathers died suddenly. After two disappointing seasons with the Clippers, he was traded to the New York Knicks. He only played nine games for them and was released at the end of the season. 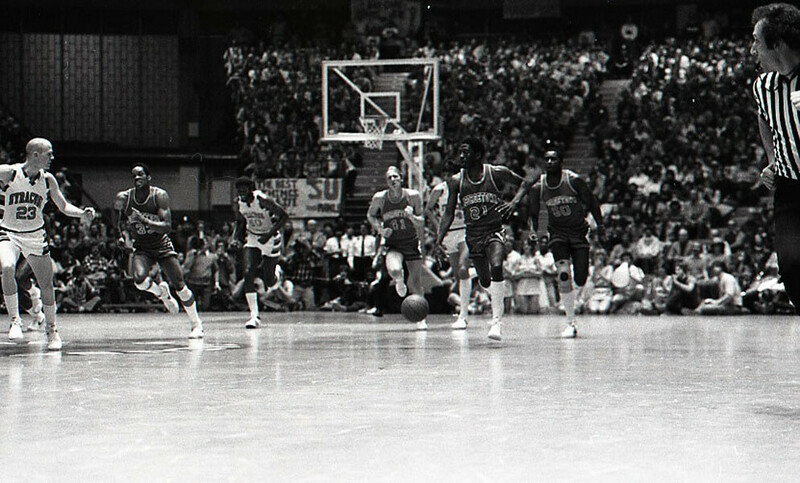 Kimble then went on to play for several teams in the Continental Basketball Association. After Indiana, Cheaney played for five different teams during a 13-year NBA career. Unfortunately, he only averaged 9.5 points and 3.2 rebounds during that time. He retired from playing in 2006. 6’3″ shooting guard Shawn Respert was a standout player and the team’s top scorer during his time at Michigan State University. In 1995 he was named a unanimous first team All-American and Big Ten Player of the Year, with a scoring average of 25.6 points per game. He was chosen in the 1st round of NBA drafts by the Portland Trail Blazers and then traded to the Milwaukee Bucks. Just the following year, Respert went to the Toronto Raptors, followed by the Dallas Mavericks and another stint with the Raptors. Respert was under contract with the with Los Angeles Lakers but was waived before he got the chance to play for them. During his career in the NBA, he averaged 13.7 minutes and 4.9 points per game. 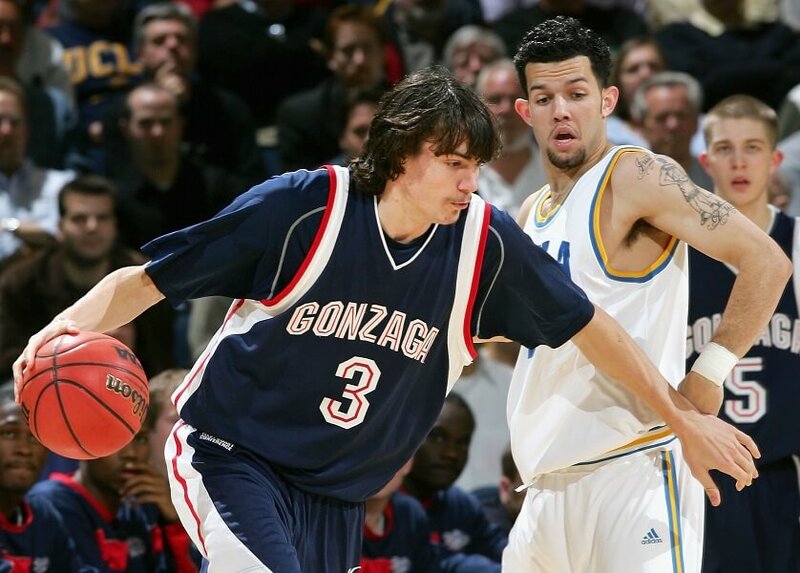 Adam Morrison was one of the top college basketball players in the United States in 2005 and 2006. He averaged 28.1 points per game during that season. Not only was he named Co-Player of the Year by the United States Basketball Writers Association, but he was also a finalist for the Wooden and Naismith Awards. He also won the 2006 Chevrolet Player of the Year Award. Morison was drafted by the Charlotte Bobcats in 2006, the first pick Michael Jordan made during his tenure as the Bobcats’ Manager of Basketball Operations. In 2007 Morrison suffered a severe injury to his left knee and was off the court for the entire 2007–08 season. Despite playing with the L.A. Lakers for two seasons then being signed to the Washington Wizards, the Wizards opted to waive him after training camp. He attempted to return to the NBA in 2012 but was waived by the Portland Trail Blazers. One of the Tennessee Volunteers greatest shooters ever, Chris Lofton made 428 three-pointers during his college career. After the 2006-2007 season, he was named the SEC “Player of the Year” and helped lead the university to the Sweet Sixteen. Choosing to continue his college glory, Lofton skipped the NBA Draft and returned to Tennessee for his senior season. Despite his career accolades, the decision backfired and he was never given a chance in the NBA. Straight out of college Lofton signed with the Turkish Basketball League and has not been heard of in the United States since. Next up is Scottie Reynolds. He was drafted by the NBA, but did he ever play? Scottie Reynolds never made it to the NBA.Like Chris Lofton before him, he found his career playing basketball overseas in a Russian league. 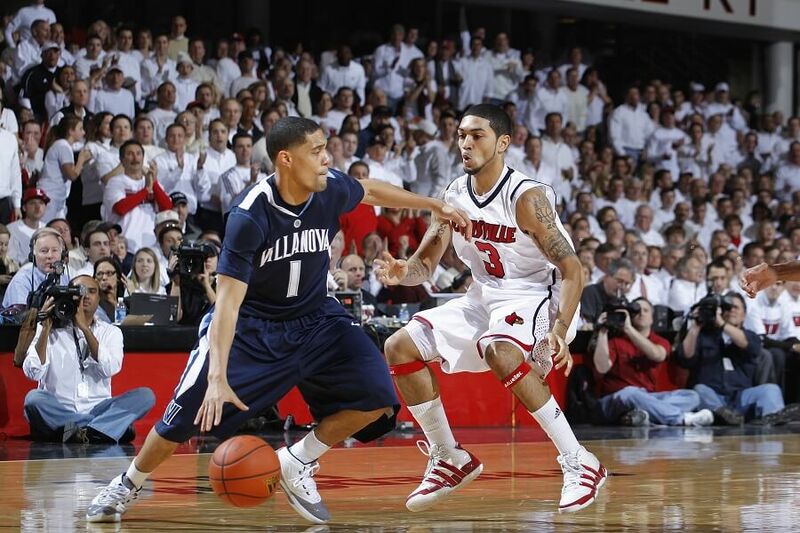 Named the Big East “Defensive Rookie of the Year” in 2007, Reynolds helped lead Villanova to a Final Four appearance as a key cog in the offense. 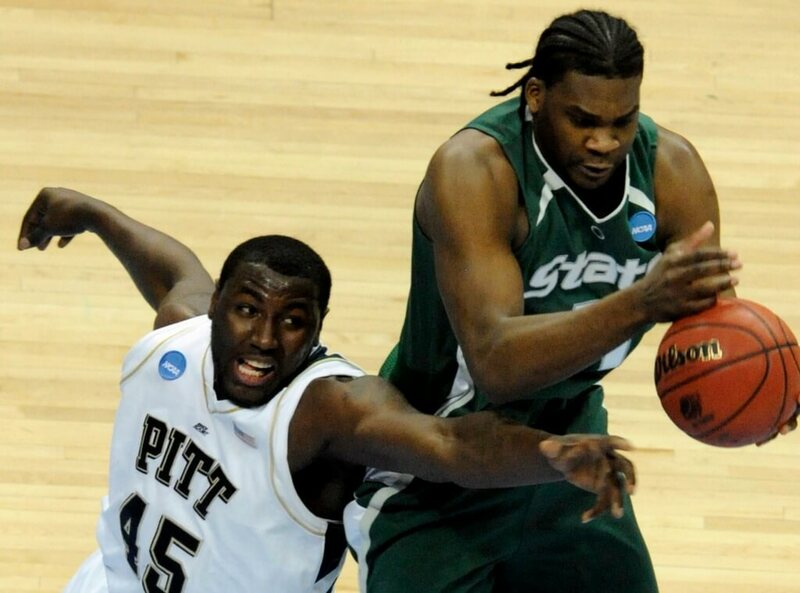 During his college career, he averaged 16 points per game, 3.5 assists per game, and 2.9 rebounds. After finishing college as Villanova’s second highest scorer of all-time, he was drafted by the Phoenix Suns but never saw regular season action, unable to transfer his talents to the next level. Randy Foye was selected seventh overall by the Boston Celtics in 2006, and that is, sadly, where his NBA career peaked. Now 34-years-old, Foye spends the twilight years of his career playing in the G-League. During his college days at Villanova, Foye lead his team to one Sweet Sixteen appearance and one Elite Eight opportunity. His final year he was named the Big East “Player of the Year.” He entered the NBA one year before Scottie Reynolds signed with Villanova, and it’s easy to imagine what these two college greats could have done with the program together if they have been lucky enough.